First gameplay to debut on July 15. The Monster Hunter: World x Final Fantasy XIV collaboration announced at E3 2018 will be available as part of the game’s August update, producer Ryozo Tsujimoto confirmed during the latest Monster Hunter Radio. The update will add Behemoth from Final Fantasy XV as a huntable monster. 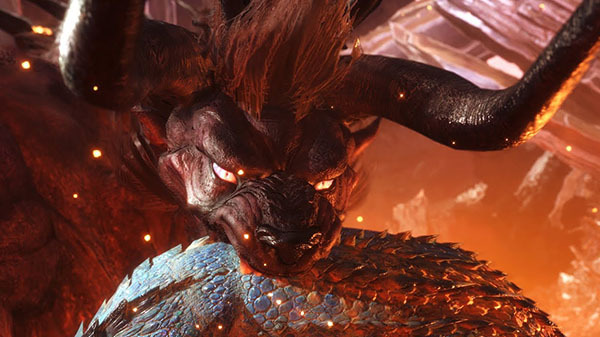 The first ever gameplay of Behemoth will debut on July 15 at Monster Hunter: World Hunting Thanksgiving 2018 at the Makuhari Messe in Chiba. Monster Hunter: World is available now for PlayStation 4 and Xbox One. It will launch for PC this fall.